It is simply amazing how the renowned Didot family were active as designers for about 100 years during the 18th and 19th centuries. The family was official printers, publishers, typeface designers, inventors and intellectuals! This is unbelievable but true! The entire family was a pool of immense talent and unique skills. 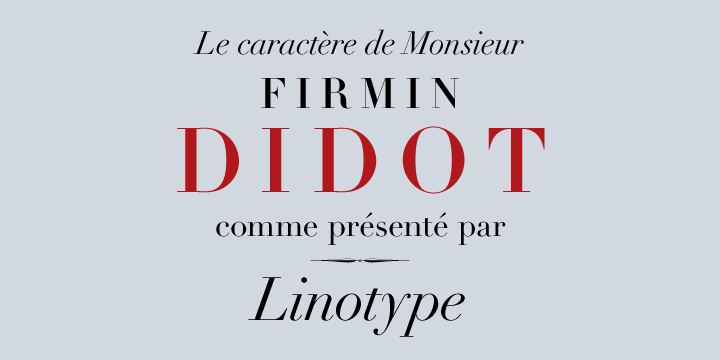 During the 1800 the Didot family owned a print shop and font foundry in France. The printer Pierre Didot published a document using his brother’s genius (typefaces). 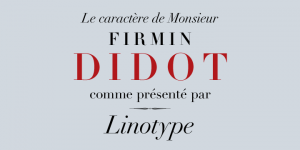 The Linotype Didot has dynamic clear forms and work as an attractive display objective. The rational characteristics of the font are representative of the point in time and attitude of the Illumination. The font works towards giving any project a classic and elegant feel.